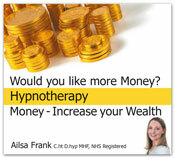 How Does Hypnosis for Wealth Work? Are Sales figures important to you? Corporate hypnotherapy motivation creates harmony and high production in the workplace. An on-site visit to your office by hypnotherapist Ailsa Frank is a great investment for your staff and your company. Ailsa works with groups and also individually with employees in confidential hypnotherapy appointments. Sessions motivate staff allowing you to get the most out of them whilst caring for their welfare. Employees feel appreciated as you invest in your staff which restores balance to their health and stress levels increasing productivity in your company. Hypnotherapy can benefit salespeople by improving their sales techniques and ability in closing sales. Follow up techniques taught to employees and sales Hypnosis recordings/MP3/Downloads encourage staff to continue to benefit from the sessions in the future. It is estimated that 1 in 5 employees is suffering from stress according to the Health and safety HSE figures. Stress stops people from performing to their best and prevents people from using their skills in the best way. Many salespeople seek individual appointments regularly with Ailsa at her clinic or over the phone. Motivation techniques help restore confidence to sales teams. Hypnotherapy dissolves workplace frictions, stress and fatigue. Do you want to be a top sales person? Hypnotherapy techniques have been proven over and over again to work with business motivation and increased sales figures. Why not try a Hypnotherapy session for yourself? * Do you lack sales confidence some days? * Do you want to get into a successful sales zone? * Do you want to increase your sales focus? "After the hypnotherapy, my creative mind began coming up with new and better ways of doing things in my business and I launched a much more profitable sister company as a result of the hypnotherapy sessions"
Running your own business can be very rewarding but many people find themselves stressed and overworked unable to set boundaries between work and home life. Hypnotherapy helps you attract more income and better clients, helps relax you and let go of business and financial worries. It also releases negative programming in your subconscious which may be stopping you from growing the business in the best way. Restoring balance to your sleeping patterns, attracting positive clients and having the confidence to charge highly for your skills will yield you and your business great returns and you will finally be living the dream you started out to create. Positive thinking is wonderful but unless you change those beliefs deep in your subconscious mind there will always be doubts stopping you from reaching your true potential. Do you rely on staff or suppliers who let you down? Are you stressed from work? Does your business get you down? Does your business take up every waking moment? Do you lie awake thinking of all the things that need to be done? "Business is booming in the recession as the hypnotherapy has steered my ideas with the company in a new direction, things are just getting better and better. Sales are up, profits are up and the office moral is up too"
"I run a small business which had left me feeling stressed and exhausted, after the hypnotherapy sessions with Ailsa I rearranged the structure of the company, employed an admin person which freed me up to earn more money, I attracted better clients as my subconscious came up with new ways of doing things and seeing a way to move the business forward. I began sleeping like a baby instead of churning over all the things I should be doing. Before the hypnotherapy, I was unable to see the wood for the trees. My turnover and profits have increased dramatically and I have a happy home life too. 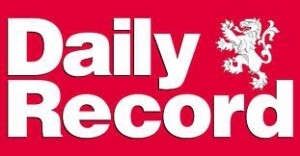 Thanks, Ailsa"
"I have had sales success since listening to the hypnosis download regularly, all self-doubting has gone and all negative chatter in my mind about clients not being able to afford to order from me has gone. They seem to sense my new relaxed attitude and keep buying more."